Alliance Receives Over $2 Million to Build Partnerships for Cleaner Water! 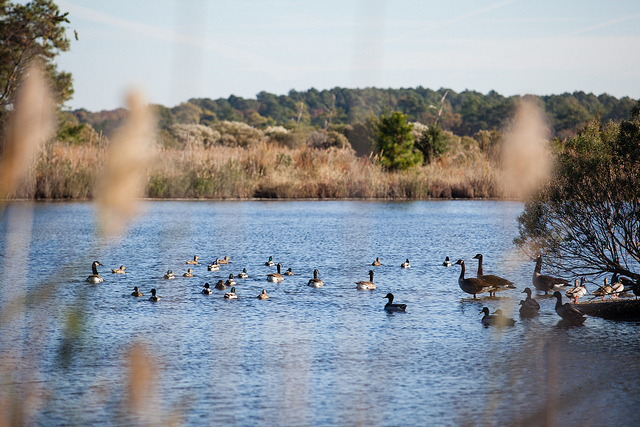 The National Fish and Wildlife Foundation has awarded over $2 million of funding to the Alliance to build partnerships for cleaner water and healthier ecosystems across the Chesapeake Bay watershed. The Alliance was awarded $1 million for a project in Lancaster, PA, $1 million for a project in Richmond, VA, and was written into another $1 million grant with Interfaith Partners for the Chesapeake. The $1 million grant award for the Alliance’s Lancaster, PA office will support dairy farmers in meeting their sediment and nutrient reduction goals through a collaborative public-private partnership between the Alliance, Turkey Hill Dairy, and the Maryland & Virginia Milk Producers Cooperative Association. In Virginia, the Alliance will use the $1 million grant to accelerate the reduction of stormwater pollution entering Richmond's waters by developing a Green Infrastructure Master Plan that will focus on identifying green infrastructure projects on public lands in the City of Richmond for future implementation. Read more about this exciting news on our website. The Alliance is thrilled to announce that our Executive Director, Kate Fritz, has been honored as one of The Daily Record’s 2018 Leading Women! While only in her 30's, Kate has built an impressive resume as an environmentalist, earning undergraduate and graduate degrees in the field and working in a variety of environmentalism positions across Maryland and beyond. She is also passionate about volunteer work, and has served on multiple Board of Directors including Anne Arundel Watershed Stewards Academy, St. Mary’s College of Maryland Alumni Council, and the Maryland Sportsmen Foundation. Thanks for all you do to lead the Alliance, and our work across the Chesapeake Bay watershed, Kate! Read more about her award here. Get Your Tickets Now for Our Wild & Scenic Film Festival! Early Bird tickets NOW ON SALE for Wild & Scenic Film Festival! Get your tickets now for a discounted price! On the night of January 24th, 2019, the doors will open for our first Wild & Scenic Film Festival in Annapolis, MD; Richmond, VA; Washington, DC; and Lancaster, PA. The Alliance is excited to present this community event, and looks forward to bringing together people with a common appreciation of the earth and the Chesapeake Bay watershed. The Wild & Scenic Film Festival brings together incredible selections of films that inform, inspire, and ignite solutions and possibilities to restore the earth and human communities while creating a positive future for the next generation. Festival-goers can expect to see award winning films about nature, community activism, adventure, conservation, water, energy and climate change, wildlife, environmental justice, agriculture, and Native American and indigenous cultures. Ticket prices vary for each location. Visit our website for more details. New Funding for Multifunctional Buffers in Pennsylvania! 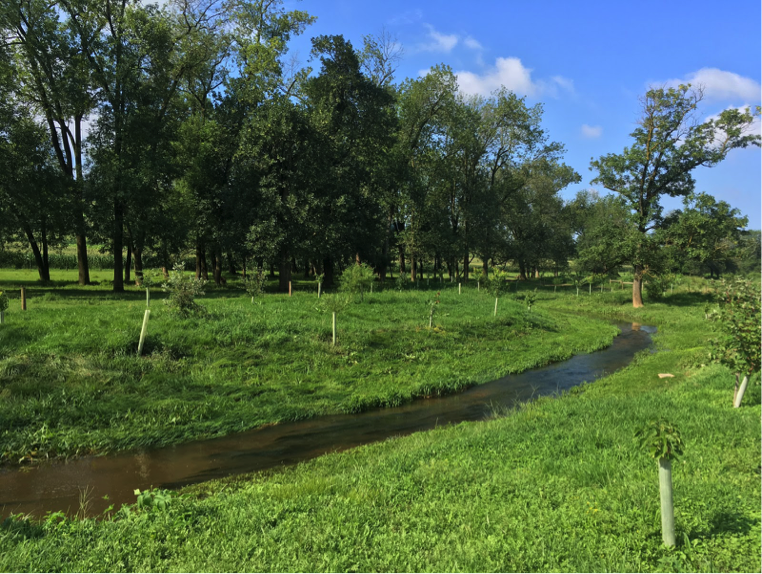 The Alliance's Pennsylvania team recently received a $300,000 award from the Pennsylvania Department of Conservation and Natural Resources to accelerate the implementation of multifunctional riparian forest buffers in Lancaster and Dauphin Counties. Multifunctional buffers allow for non-traditional native species that provide market value, such as paw paws, woody florals, raspberries, etc., to be planted within the buffer. Partners in this project include the Lancaster County Conservation District, Stroud Water Research Center, Penn State University, and the Chesapeake Bay Foundation. Thank You for Restoring Clean Water to the Chesapeake! Thanks to your YOU, the Alliance has broken all sorts of records this giving season! On November 16th, you helped us raise over $12,000 for our work in Pennsylvania through the Extraordinary Give. That is four times what we raised last year! Special shout out to Turkey Hill Dairy for matching donations one to one, up to $5,000. On Giving Tuesday, you also helped us hit our goal out of the park! Thanks to our supporters, board members, and staff, we raised $10,000 as a part of our Giving Tuesday campaign. Thanks to your support, the Alliance will be able to continue our important work in communities throughout the Chesapeake advancing the restoration of local streams and rivers. THANK YOU! If you weren't able to donate during the Extraordinary Give or Giving Tuesday, don't worry — it's never too late! Donate Now to Support Clean Water. In early 2018, Amy Robins the 5th District Council liaison reached out to the Virginia Office's RiverWise Coordinator, Amy Hagerdon, to discuss the potential to collaborate on green infrastructure in Richmond public parks. Amy Robins, having previously worked at the Alliance in the Virginia office on the Citizen Advisory Committee and the RiverWise Program, has a special appreciation and knowledge of our mission and work. 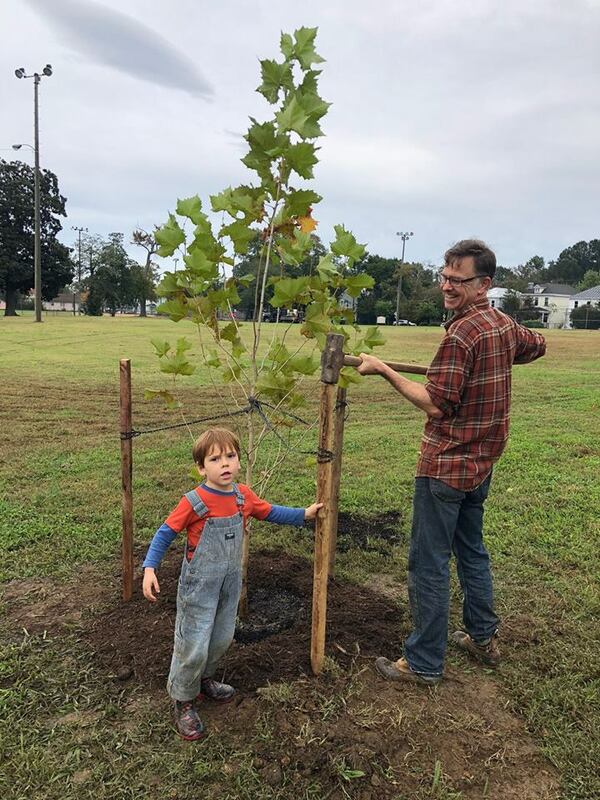 Together, the 5th District, Richmond Tree Stewards, and Richmond Parks, Recreation, and Community Facilities developed a plan to install over 60 trees in two City of Richmond parks, Canoe Run, and Carter Jones. Groundwork RVA is contracted to help water the trees during the first two years of growth to increase survivorship. Thanks to our ongoing partnership with Altria Group, the Alliance is able to continue to respond to green infrastructure needs throughout the City of Richmond through our RiverWise Communities program. The trees will provide many benefits, such as reducing urban heat island effect, sequestering carbon, soaking up stormwater, and providing habitat and food for wildlife. The trees will help the City of Richmond, VA Government, and Mayor Levar Stoney meet its goal to reduce its carbon footprint by 80% by 2030. Read more about our Fall tree planting season around the watershed. Sixteen species of holly (the genus Ilex) are native to North America. Two of the most widespread eastern species, American holly (Ilex opaca) and winterberry holly (Ilex verticillata), are commonly used for holiday decorations due to their cheerful red berries and, in the case of American holly, distinctive evergreen leaves. American holly closely resembles English holly (Ilex aquifolium), which is a traditional symbol of Christmas in England, and colonists quickly adopted the stately American holly as a holiday staple in the New World. To read more about Native Holly, check out our latest blog post. The Alliance is Now A Certified Breastfeeding-Friendly Workplace! 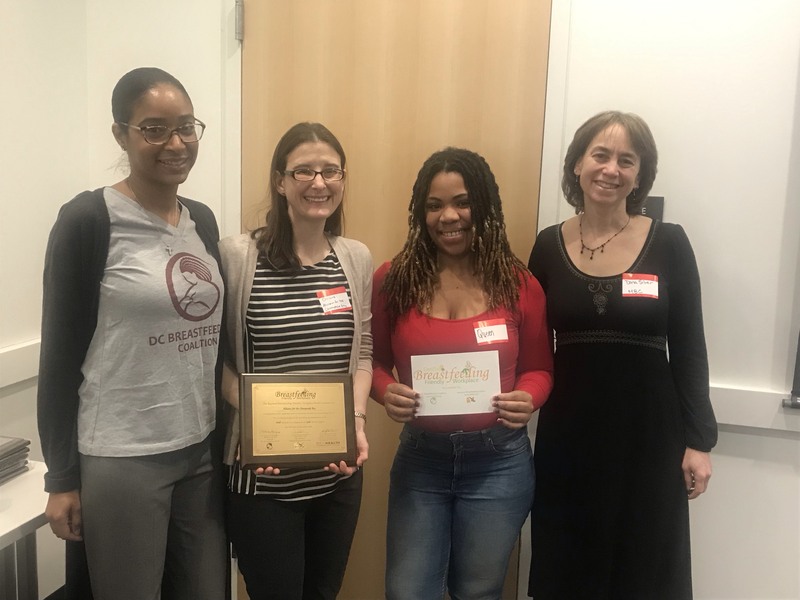 The Alliance was recognized with the Gold-Level Workplace Award for Small Businesses from the Maryland and DC Breastfeeding Coalitions for their 9th Annual Breastfeeding-Friendly Workplace Awards! 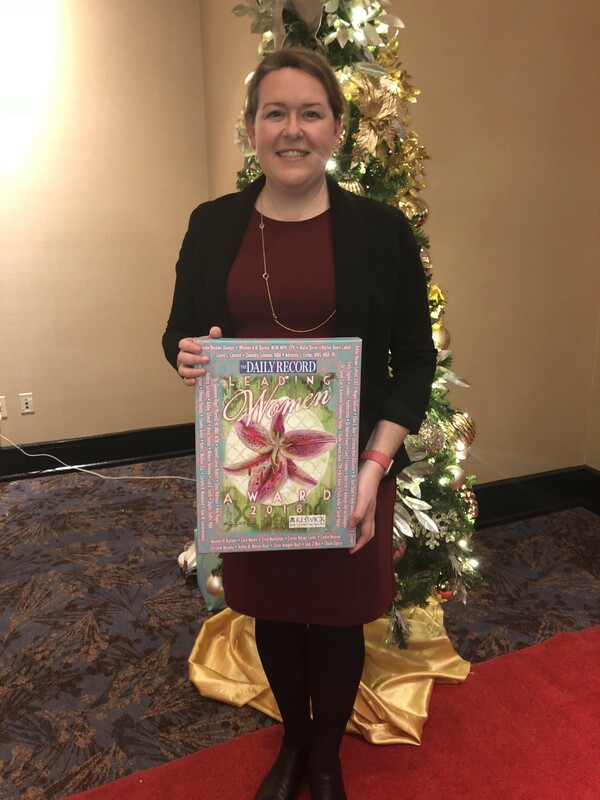 We were recognized for providing accommodations in the small business size category at the Gold level of support for our Maryland/Headquarters Office. The awards were given to businesses that provide supportive work environments for breastfeeding families. Our Annapolis office now holds a gold level plaque with signatures from DC Department of Health, Maryland Breastfeeding Coalition, as well as the D.C Breastfeeding Coalition. Remi Powell's Marketing and Design Internship for the Alliance is coming to an end. Remi worked on projects such as creating a sub-watershed map of DC, displaying Rock Creek, Potomac, and Anacostia sub-watersheds, as well as a stormwater infographic. "I think my absolute favorite project was the stormwater infographic. For this infographic, the Alliance wanted an attractive graphic to include in their flyers, documents, and educational guides to show types of stormwater runoff DC residents could encounter. The infographic shows a typical DC neighborhood with classic row homes, alleyways, sidewalks, etc. I know all too well about the neighborhoods in DC because my mom’s side of the family was born and raised there, and I enjoyed spending time at my grandparent’s house in DC. I always loved the architecture of the row homes, so I knew I was going to put my heart and soul into this." To read more about Remi's intership, click here. Thank you to Turkey Hill Dairy for providing a $5,000 match for the Extraordinary Give!